The terrific artist, Jeff Victor, who created The Cartoon Evolution of Superman among many other great works is publishing his first book showcasing of his artwork. Gallery Nucleus, located in Alhambra, California, will be hosting a book release and signing event on January 25. 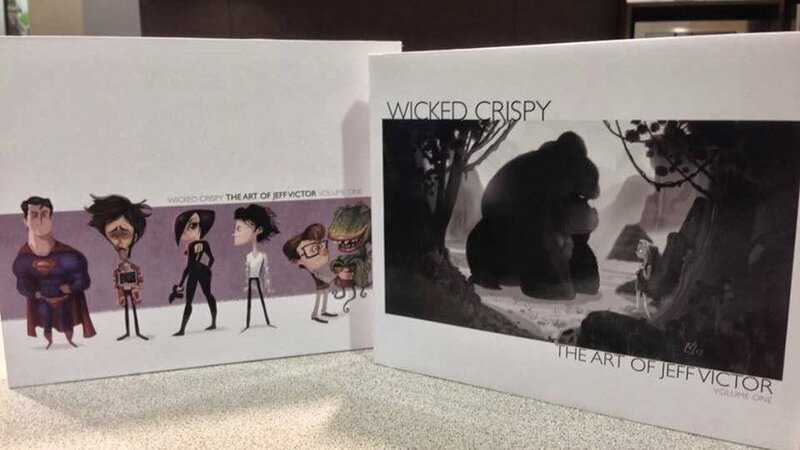 The new book, entitled Wicked Crispy, features over 80 pages of hilarious and articulate character evolutions, inventive re-imaginings and comical caricatures, and informative behind-the-scenes details, brought to you by the illustrious Jeff Victor. The gallery is also offering pre-orders of the book for just $35 or $40 for signed editions.